We had our second marriage workshop tagged “Couple’s Clinic” a few days ago and it was fantastic. One of the issues discussed that raised a lot of questions bothers on finances. We tried to look at the most common issues in marriage that bring about disagreements between couples and I am sure you will be surprised if money didn’t feature on that list. And the issue of couples having a joint account came up. In order to have more people benefit from this discussion, I have decided to write a post on it. There are no clear instructions on this when we search the Bible, but we can apply godly wisdom in dealing with this kind of issue. The first thing that I will advise couples already married and those intending to marry is that whatever you can’t finish or better still whatever you can’t sustain in your marriage it is better you do not start it. And I say this with money as a focus. There is absolutely nothing wrong in couples having a joint bank account, but when it gives the devil an avenue to attack your marriage then it’s important that you avoid it. Having a joint account or not does not in any way affect the issue of trust in marriage. If as a wife you don’t trust your husband, sharing a joint bank account with him will still not make you trust him. And likewise, for the husband, having a joint bank account will not in any way result in trust in the marriage. Quite a lot of couples share the same bank accounts and they are good for it and a handful of couples share the same bank account and they feel choked by it. The truth of the matter is that masculine material priority differs totally from a feminine material priority. A wife may want to buy a skirt or a wig, or a hair extension and as far as the husband is concerned those a trash. And in the same vain a husband might want to buy an expensive wrist band and the wife sees it as absorb and a waste. And there the trouble begins. What men need money for are most of the time totally different from what women need money for. But that is not to say that I condemn having a joint bank account, but if it has to be done, then it should be done with a level of wisdom such that it doesn’t give room for any marital crisis in the future. It is a nice thing if both couples have separate means of income. If for any reason there is the desire to save between couples, they can decide to have a joint account whereby they both maintain a certain level of contribution periodically for the family. And if both couples are working and doing this, then it’s very okay. But in a scenario whereby both the wife and husband are working and earning a salary and have decided that they put all of their salaries in one joint bank account, I fear that might be a time bomb waiting to explode. This has absolutely nothing to do with trust but the fact that the wife who might most likely feel choked from this arrangement after a while, will need to always seek her husband’s approval for every spend in her life even though she is working and earning income. And the same goes for the husband. Invariably, one of the parties will start to hold back some of his/her income to meet personal needs and this will, in turn, break down trust and openness in the marriage. A typical example of this was shared at the just concluded marriage gist and what I advised such a wife to do is to begin to look for what she can do that will fetch for her a second source of income whereby she get money to do what she wants to do without having to feel choked seeking husband’s approval to meet her needs. Another possible way was for her to speak with her husband and gently and lovingly explain to her husband that the arrangement is not working well for her and as such she will need to be allowed to retain a fraction of her income in her personal account to cater for her personal needs. Not having a joint bank account does not in any way reduce or improve the level of trust and openness in marriage. I don’t share the same bank account with my husband, but if I need to save money such that I won’t have any reason to touch it, I give it to my husband for safe keeping and he returns my money to me when I demand it. But not that I condemn the act of couples having a joint bank account in any way. I will say this to couples, never rush into any decision making out of momentary emotion that you feel, it is important that you consider the long-term effect of your decisions. Any decision or agreement that has the potential of dividing you or causing disaffection between you two in the long-run, then it’s important you don’t enter into such agreement. Love and trust in marriage are not subject to a joint bank account. What Do You Do With the Flower of Love? I was listening to a song titled “No Pain No Gain” by Betty Wright, you know those R&B/Songs of the 1980s. And in that song, Betty Wright defined love in a way that I really love to relate with. In the song, she said love was like a beautiful flower, but that flowers need water and sun to grow. And that has struck a nerve in my thought, we lay so much emphasis on love in marriage that we forget that without the proper enabling environment love withers and dies. And we have so many dead marriages who have anchored their existence on love without wanting to make the sacrifices that give love the room to grow and blossom. I will never stop preaching the fact that marriage is an investment, and what you put in it determines what you get from it. I dare to say that there is no such thing as bad marriage when a couple without any force, choose to marry each other. If you were not forced to marry your spouse and then the marriage goes bad, it's not because the marriage in itself is bad, its because you and your spouse mismanaged the marriage. If you have a business venture and you mismanage it, it will collapse with time and the same goes for marriage. It is a fact that if you run a business with emotions and not being alert and wise to the needs of the business, it might not survive. In the same way, if you handle your marriage solely on emotions and not with wisdom, then the chances of survival are very slim. What we now understand love to be, is that emotion that gives and just keeps giving. But we forget that if the source of this emotion is not replenished, it runs out after some time. And so, the love that we should now run with is such that we give into it and then take from it. So, in order to always have a constant supply of love we need to care for its source. The love that sustains is the one that gives and takes. A lot of married couples have defined love in marriage as a 50-50 thing. So, it is expected that the husband gives 50% and the wife gives 50%. Two things are wrong with this love methodology. The first is when you give 50% of your love and commitment into your marriage that means you are giving just half of yourself into that marriage. If you are just giving half of your love and commitment into your marriage, then you should not expect your spouse to give more than just half of himself or herself into the marriage or else you will be cheating him or her and asking for too much. Remember the level of your investment determines the level of yield you will get from it. And then what are you going to be doing with the remaining 50% of your love and commitment? If you are not investing it in the marriage, then you are not being loyal to your marriage. If the marriage goes down, you will be the architect of that. And then secondly, let’s do a little arithmetic, if you give 50% of you into your marriage and your spouse gives 50% of himself or herself into a marriage, you will both arrive at a 100% which is good, but far from being good enough. If you invest all of your emotions and commitment into your marriage, that means you are giving your 100%. If on the other hand, your spouse is giving his/her 100% love and commitment, what you will arrive at is 200%. That is twice what you will have if you were just giving half of yourself into your marriage, so why settle for less? Love is good and beautiful and highly needed in the survival of any marriage, but that love needs to be kept alive or else it will be totally worthless. For love to thrive, it needs all that sacrificial watering and sunning you can give to it. Without your sacrificial watering and painful sunning, it will die fast. Make it a point of responsibility to water and sun your love in marriage to keep it alive and beautiful. You know what to do, so kill that which prevents you from enjoying your marriage and groom the beautiful flower of love that adds color to your marriage. First, I want to wish us a prosperous month of March. I pray we will enjoy the full measure of God in our lives this month in Jesus name. Yesterday I was chatting with a friend in a troubled marriage, she had gotten divorced from her husband on the grounds that he was abusive. In the course of our chat, I mentioned to her that most men who behave badly in marriage do so due to peer influence. Men discuss issues with their friends a lot and quietly implement that which they learn from those friends. But she debunked my claim concerning her own situation and told me categorically that her husband’s parents were like that in their marriage. Her husband’s father used to beat his mother, and even though he (her husband) had vowed never to go that route in his marriage, he finds out that he can’t control his temper and gets to beat his wife even though he never wants to do so. To the glory of God, she told me that after reading one of my blog write-ups in the past, she realized that getting a divorce wouldn’t solve the problem and so they reunited, but still live apart, but that they are building a house together and once done, they will be moving back in together. With her permission, I am sharing her story so that a lot of women can learn from it. Looking at an issue like this, there are many things to note, first is that the abusing husband is by himself not abusive at heart. He finds himself doing the exact opposite of what he wants to do. He wants to love his wife but does the exact opposite, probably because growing up he has seen so much of abuse in the marriage of his parents that it seems to be the norm to him. So as far as he knows, the only way to make his wife do his bidding is to beat sense into her. And this might be the same issue with quite a handful of abuse in marriages. In as much as I don’t want to make a case for abuse in marriage or excuse it in any way or tolerate it in any form, it’s important that we look at this problem from another dimension. In a case where a husband grew up in a dysfunctional home with very wrong values inherited from his parents, it will help to understand that the husband is as much a victim of the problem as much as the wife. He does what he hates to do because that is what he has seen his parents do, and now he needs to learn new values of life for an effective and happy marriage. He needs to be taught that in order to make his wife do his bidding, he can always love her into it. I have always shared in my blog articles that emotions alone are not strong enough to sustain a marriage. Wisdom and in fact divine wisdom is the important ingredient to make marriage a success. If as a wife you are married to a husband with character flaws and deficiency, condemning such a man or running away from such a man does not get the problem solved and does not make you an exceptional wife that is the pride of a man. But helping your husband become better than how you met him singles you out as a hero. If in your lifetime, your husband is the only person you have helped become a better person as your contribution to the service of God and humanity, you have done fantastically well. If no one recognizes you for your labor, heaven does and will reward you bountifully and your husband will be grateful that he met you in his lifetime. You will become to him a high priced, valued and cherished tool in his life. Dealing with a man who has grown up with very wrong moral values requires wisdom, patience and the ability to absorb shock. All these are made available from the throne of God through prayers and the will to be obedient to God. When you have a temperamental husband, the last thing you should be doing is to provoke him to anger. You cannot correct your husband like you would your child whether he is temperamental or not. The man is the head of the wife and not otherwise. If you know there is anything that can possibly upset him then it is just simple wisdom that you avoid those things. You speak to your husband more with your attitude than with your words. You should deal with your own character as a wife such that what he sees in you will create an impression in him that brings about the changes you desire in him far more than the words you say to him. Our action speaks volumes and far more than we know, our husbands read and study our actions. We need to deliberately possess character values that make our husbands sit down and have a rethink about their own lives. When the Lord began to train me on submission, initially it was tough, but little did I know that it was that submission that will change my husband and make him a better person that he is today. I have so mastered submission that its beginning to yield huge positive results for me. Even when I know that the instructions my husband is giving aren’t going to get the job done or get us the result we want, rather than do things the way I feel is right, I follow my husband’s route. It might sound foolish, but it has saved me a lot of headaches and heartaches in my marriage. If eventually we are unable to arrive at the desired result and he complains, I will point it to him gently that I did it just the way he wanted it done, so if there is an error then it is not my fault but his. It is only then will I point to him that, well, there is another way we can do it to get a better result because I know that at that moment he is ready to listen to me. But never will I force my opinion on him, and I have made that very clear to him. After several mistakes and instances like that, we now dialog more than him issuing instructions. Many mistakes like this have helped my marriage a great deal. In what felt like foolishness, I have been able to make a great impact in the life of my husband. He is also learning to be patient with me and listen to me more. We agree on the approach and then execute. He is limiting his “I gave you an instruction” approach and adopting the “let’s discuss” approach. But I can’t remove God from my achievements in marriage. All the success I have recorded as a wife to a temperamental husband was because I prayed, and God answered. He led me through it, and I obeyed Him (God) foolishly. I didn’t try to rationalize God or try to understand His dealings, just that as I sense Him leading, I followed. Many people tell me I am enjoying God’s grace in abundance and I can’t deny that in my life. But that much grace as it is available for me is also available for all. God’s grace is like a flowing river that never runs dry. When you go to the river to fetch water, the container you go with determines the quantity of water you will take from the river, if you go with a 35cl glass cup, the water you can take will only be what that 35cl glass cup can carry. And if you go with a 1000ltr water tank, you get the quantity of water that your tank can carry. So, when you go to God for grace, your container determines the quantity of grace that you can carry from God. If you go to God with a small container, you get small grace and if you go with a large container, you get large grace. It’s all about you. Before you condemn your husband as a never do well, are you willing to be the change agent in his life? Are you available to God to use to correct all the foundational problems that he has grown up with despite the fact that he hurts you so bad? Interestingly, he is as much a victim of his problems as you are. Fighting him will only amount to him fighting two enemies (you and his problems). But understanding his situation and helping him fight his demons will mean you two joining forces to fight a common enemy. You can be sure that with God on your side the victory is sure. I am happy now and I know you too will be happy if you fight the real enemy of your joy and happiness. That real enemy is not your husband. He does not possess flesh and blood. Hello people, I trust you are doing well. I am grateful to God for the opportunity to be able to reach out to you again on marriage issues and to the glory of God our marriages will be a joy and a blessing to us in Jesus name. Just as I was beginning to think of what to share and praying in my spirit for God to give me a timely word for a marriage, it dropped in my spirit to gist you guys on how I helped my husband to stop smoking. 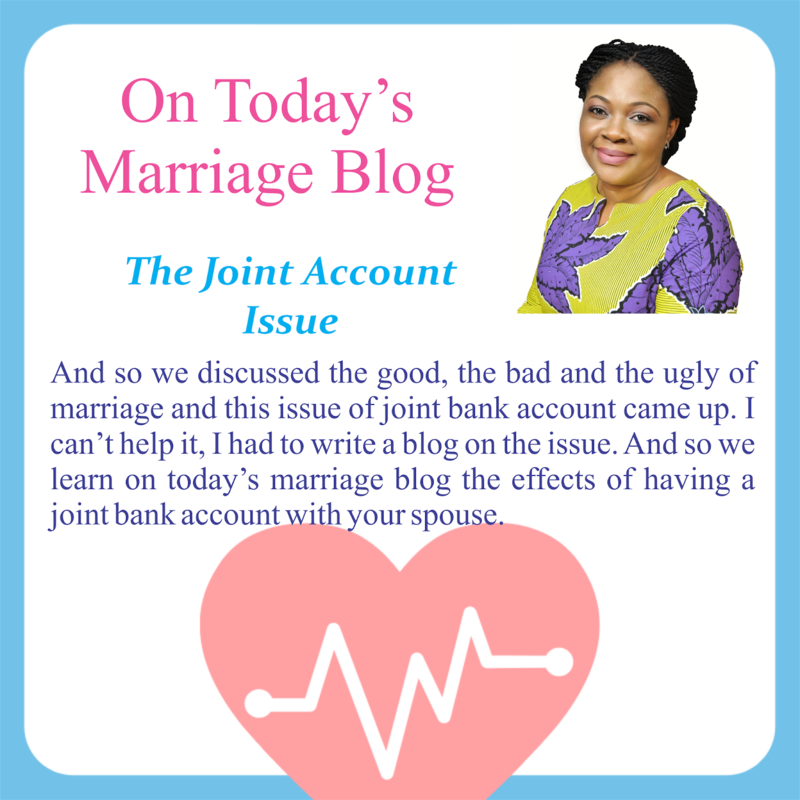 When you read my blog, it’s important that you understand that I am not in any way different from the many people with diverse issues in their marriages. I have had my own share of marital heartaches and several times that I have considered taking a walk from my marriage and even contemplated suicide. But I am always quick to wake up to the fact that I didn’t send myself on this marriage journey, I am on assignment for God in making the life of a man better than how I met it. I possess the talent to make it happen and I am working my talent and with God on my side as a Guide and ever-present Help in times of trouble, I am seeing the positive results. So, like I said earlier, I want to share with you guys my experience on how I helped my husband to stop the habit of smoking. But come to think of it, did I really do much in helping my husband bury the harmful habit of smoking cigarette? Well, my husband started smoking in his late teen years and that habit grew with him till about six years ago. I knew he was smoking before we got married and assumed that I could stop him from smoking once we got married. I banked so much on the love we had for each other and thought I had the magic wand. Oh, was I so very wrong! Smoking became a major source of fights between us well into our married years. The more I complained and fought him on the issue, the more he continued and even got worse. There was nothing I didn’t say, but I just wasn’t making any headway. I even threatened to end the marriage and sincerely my husband called my bluff and continued smoking. Now, we have had children and they were beginning to see their father smoke. I didn’t want that to happen and still I couldn’t prevent my children from wanting to be with their father. You know when children come to tell you that “mummy my teacher said smoking is bad for the health and now daddy is smoking”, and you have absolutely no response for them. For them, their father was their role model, they want to be like daddy someday, and smoking isn’t what I wanted them to see as okay. So, it was tough, and I fought the habit of smoking in my husband with all the strength I had in me. I hated the smell of cigarette on him, I never wanted him to come near me when he just finished smoking and believe me when I say it affected my relationship with him negatively. And then I began to take on my last resort, I began to pray. I realized that by myself I could fail, but God never fails. I handed the battle over to him. One thing that I realized was that my husband had it in mind that if he stopped smoking because of me, then it comes across to him that I could control him. He didn’t want to give me the power to be able to control him. So, while I thought I was helping him by trying to force him to stop smoking, he saw it as me trying to control him. So, the more I complained about the smoking, the more he smoked basically to prove a point to me that I should not think that I can control him. When I realized that I wasn’t making any headway with my complaints and naggings, I decided to pray more and pay little or no attention to his smoking. I sat him down one day and told him that he wasn’t going to affect me anymore with his smoking but that he should promise me not to smoke in the sight of our children. At that, we struck a deal and I maintained our terms of the agreement. But I never stopped praying. If my husband would not yield to me, he surely cannot resist God. I watched my husband smoke for about two more years after I resolved to stop complaining and just pray and then one day from nowhere, he declared by himself that he was done smoking. When he told me, he wanted to stop smoking I didn’t reveal any emotion. I didn’t show him whether I was happy or sad. I was expressionless. It was just like a passing comment between us, and I did this for one reason, so I don’t show him that I have won the battle and then give him a reason to go back to the habit. My husband always wants to win and having that understanding of him, I make sure he wins all the time. The battle here was not for me to win the argument or for him to win the argument. The battle was for both of us winning together against that harmful habit of smoking cigarette. It’s been six years now that my husband gave up smoking and I am so happy that he could stay off it and kill its power of him for good. I hope my experience has helped someone having the same challenge. For some men, they don’t mind being influenced by their wives, but some see it as their wives being overbearing and controlling. As a wife, its important to study your husband and understand the category he falls into and relate with him wisely. The fact that your husband does not like being controlled like mine does not make him a bad person, we all cannot have the same personality. But be sure that your husband’s personality is what suits you well otherwise God will not make him your husband. To achieve much in the life of your husband, it is important to know him well and treat him well with wisdom from God according to his personality such that you only get the good things out of the personality he possesses. Remember you are his suitable helper, God declared it so. It’s always a joy to have something to share with you on marriage issues. I pray as always that the Lord will touch you and your marriage mightily through this platform in Jesus name. Today I want to share a little of what God dropped in my spirit concerning our service to God with our marriages. I have had to speak to a handful of people with troubled marriages who are so bent on throwing in the towel and just walking away. I pray that the Holy-Spirit will through this post reach more people than I can physically reach with this revelation. One common thing about troubled marriages is that either the wife or husband is always quick to give up. The saying that “Marriage is not a do or die affair” is becoming quite common, most especially when violence is beginning to find its way into the already complicated situation. But when I was talking to a young lady who simply told me that she didn’t want her marriage anymore and I was praying in my spirit for a response to give her, the Lord dropped in my spirit “The Parable of the Loaned Money” that Jesus told in Matthew 25:14-30. In this parable, a man was going on a journey and he entrusted his property to his servants. To one he gave a talent, to another he gave two talents and to the third, he gave five talents according to their ability. We read in that passage that the servant who received five talents immediately put his talents to work and got five more. The one who received two talents did likewise and got two additional talents. But the servant who was given just a talent dug his in the ground and awaited the return of the owner. When the owner returned and asked what was done to the talent and why he didn’t put the talent to work, he replied by narrating how wicked the owner of the talent was. What a response that was. Now, many of us would label this servant with so many negative names and its so easy that we can do so. But we are as equally guilty as the servant who has refused to put his one talent to work. What I am about to share in this blog post isn’t just for anybody, but for those who truly have the Spirit of God ruling in their lives. So many of us believe that we met our spouses, fell in love and got married. But it’s a little beyond that, it's not as simple as we think and so waking up one morning to tell yourself that you want to walk out of your marriage is not as simple as we children of God take it to be. At the beginning in Genesis 2:18, God said it is not good that the man should be alone and after looking at all that He (God) had created and could not find a helper suitable for the man, He caused the man to fall into a deep sleep and from him, He made a woman as a suitable helper for the man. The divine revelation that comes from is that as a wife you are on assignment in the life of your husband. This assignment was not given to you by your husband, it was not given to you by your parents or your husband’s parents, the assignment was given to you by God. It is the Lord God almighty who placed you in the life of your husband to fulfill His divine purpose in the life of your husband. When God gave you that assignment, He never declared to you that the assignment would be easy, but one important thing about God’s assignment is that He equips you for the job and in fact proceed to stand by you as you execute the assignment, never leaving nor forsaking you. He is ever ready to uphold you whenever you are met with an obstacle on your way. Your marriage is an assignment to you from God. And every assignment God gives us is in line with the ability that He has put in us. God will not give you an assignment beyond your ability. When you look at your marriage and tell yourself you can’t take the stress anymore and so you want to walk out of it, you are simply acting like that servant in Matthew 25:14-30 who was given just a talent. You are simply telling God to take back that which belongs to Him. What you should have worked on and invested so much in such that it yields for you in multiple of what you have sown in it, you chose to abandon it in the ground and then return it back to the Owner. Saying you want a divorce is like telling God directly to His face that this assignment He has given to you is an assignment you can’t see through nor wish to see through. And I know a lot of people will wonder what should be the approach in an extreme case of either violence or emotional abuse in marriage, but the truth is that the moment we truly let God take the led in any situation in our marriages and are diligent to follow with His instruction and most especially what the instruction says in His word, then you are bound to succeed and excel in your marriage. In the light of obedience to the word of God, violence and any other abuse will cease to operate any longer. One important thing we need to understand is that we can’t change our spouses, only God can. But speaking to the wives now, don’t think your husband can change just because you tried to advise him, or you tried to correct him. I have heard a lot of wives say their husbands don’t take to correction. When you are in a marriage with the mindset of correcting your husband’s fault, then you won’t go far in making a success of the assignment. Whatever changes you desire to see in your husband, you need to truthfully pray to God about it and listen to God’s instruction and follow the leading of the Holy Spirit in bringing about the correction that you desire. One prayer I never cease to pray for my husband is the prayer of wisdom. I always tell God that all that my husband needs to be a good husband to me and a good father to our children, the Lord should provide for him. For me, it’s an all-encompassing prayer. The Lord knows my needs even before they arise and so He alone knows what He would provide in the life of my husband to meet those needs. And just as I pray such prayer for my husband, I also pray for myself that all that my husband needs in a wife the Lord should provide them all in me. I pray for wisdom to be a good wife to my husband as much as I pray for wisdom for my husband to be a good husband to me and because I serve a living God who hears and answers prayers, I am seeing the manifestation of what I have asked of God in my marriage. I have heard a lot of wives say they have prayed so heard for their husband without any result and so they are tired of praying. But in truth is, when we pray what do we ask the Lord for concerning our husbands. Is our request in line with the will of God for our marriage? And then when we pray, do we listen for a response from God in the form of instructions on what to do? Are those instructions in line with what we read in the Bible? Prayer without deeds, the Bible says is dead. And doing anything that does not align with the instructions of God for our marriages will only kill the marriage the more. As a married person, be it the husband or the wife, what are you making of the talent the Lord has entrusted into your hands in the person of your spouse? Remember what God entrusted into your hands is in line with your ability. God never promised that working the talent to produce result will be easy, but one truth is that God will always be with you and help you through it. Just like working for money is not easy and working to raise wonderful children isn't easy, so also is it that working for a good marriage isn't easy. Looking at your spouse today as a husband or as a wife how have you faired in the assignment God gave to you in the life of your spouse? If you would pray and believe that God will answer your prayers over your job and finances, if you would pray and believe that God would breathe life on your business, then you can as well pray and believe that God would bring about the change that you seek and desire in your husband or wife. If God would hear and answer me, He will do much more for you. 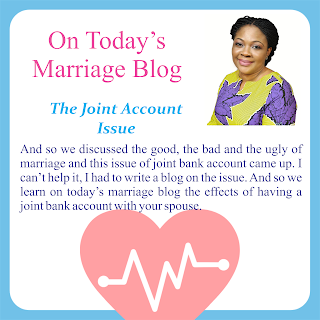 And so, we continue in our marriage gist and in today’s blog I want us to have a look at communication in marriage. There is so much to discuss when it comes to communication in marriage but today, I want us as wives to learn to be our husband’s confidant. It is no gainsaying that most husbands find it hard to open up to their wives at home. In fact, it was one of the issues discussed by the male speaker at our last couple’s clinic program. Men find it easy to discuss issues that bother them much with friends and extended family members, but mostly not with their wives except for a very few of them. Now, if your husband is one of such people that would prefer to discuss his issues with other people rather than you is his wife and one who should be closest to him, then you need to start to learn to put yourself in the right place in the life of your husband. Other people are currently occupying your position in his life and it’s not their fault, it's simply because you let them. One thing we as wives often overlook is that on more than one occasion our husbands have tried to discuss things that bother them deep in their heart with us, they have tried to be vulnerable before us, but the way and manner with which we handled that vulnerability has prevented them from trying it with us again. As a wife when you notice your husband’s weakness (because everyone has one), what have you done with it? Did you absorb what you noticed and then take the issue to God in prayer or you tried to correct him and talk him out of it? Did you discuss with an external person simply because you could not handle the shock alone? Whatever you did with that information whether in secret or in open amounts to why your husband is finding it hard to confide in you or why you are his best confidant. From my own experience in marriage, I have noticed that when my husband talks to me, sometimes he just wants me to listen, sometimes he wants me to give a suggestion and sometimes he wants me to act. But I have realized that most times he just wants me to listen. He wants to have in me a person he can talk to. Now the duty is on me to know when he wants me to just listen and not suggest or act. In the same way in many other marriages, your husband wants to talk to you. He needs to pour out the load on his mind so as to remain sane, he might not necessarily want you to do anything about the information (other than to pray for him in your secret closet with him even knowing). Just listen to what he has to say. And sometimes he might be confused in a decision he wants to make and needs your help in arriving at a conclusion. Most times, your husband will not tell you why he is talking to you, he will just talk to you and then the responsibility is yours to know whether he just wants to talk, or he wants your advice or needs your action. When you act when he just wants you to listen, then you prevent him from talking to you next time and believe me you won’t like it when your husband starts keeping things from you. Ecclesiastes 3:7b says, there is a time to be silent and a time to speak. And then Proverbs 18:2 says, “A fool finds no pleasure in understanding but delights in airing his own opinion.” In order to understand when to speak and when to be silent, you need wisdom and divine wisdom at that. You need to pray and let the Spirit of God fill you and direct you even when it comes to simple and ordinary things as little as communication in marriage. Because that very little thing called communication in marriage has led to very disastrous consequences. It is as simple as asking God in your spirit man when your husband is talking to you, if you can speak or you need to just listen, and if you need to speak, then He (God) should direct your words right. I very well understand that you the man in your life is your husband and you should be able to chat with him freely, but in all things wisdom is profitable. You don’t take your spouse and the peace of your marriage for granted in the name of speaking freely. The right words at the right time will go a long way to give you a lasting peaceful marriage that becomes the envy of the world. Then, I want to ask that, the information you receive from the communication with your husband, what do you do with them? I know so many times that my husband has come home to lament to me about things not working well on his job, and at such times I have little to say, but then my heart is praying. As soon as I can, I start to commit the situation into the hands of God, and I will not stop until he comes with the testimony that things are working fine again. His peace is my peace and we share the same joy. I have come to understand and appreciate that I didn’t marry a perfect man and I don’t judge him. I take my time to downplay is flaws in the subtlest way I can, and I validate my husband and praise his effort. That way we are best of friends. He tells me things and he knows his talks are safe with me. To get the best out of your husband in the form of communication, try not to be a judgmental or hypercritical, condemnatory wife. Don’t try to even show him his faults because even if he is not openly admitting it, he knows when he does something wrong and his conscience is already doing the judging, adding yours will be an over-do. Try not to teach him how to remedy the messy situation, when you do that you make him look foolish and he will resist it with a mindset that you are trying to control him. Men don’t like being told what to do by their wives when they didn’t specifically ask for your advice. The first act of help you should render that will guarantee him coming back to you when he needs a friend to talk to is to pray and keep praying, then if you must act, you should ask God to lead your action into doing the right thing as against what your emotions lead you to do. This does not mean you shouldn’t help your husband in times of need, but it’s important that you help him in a manner that does not appear controlling or condescending. A lot of help can be done without your husband knowing you even did a thing, at least not till much later. But God who sees what you do in secret will reward you in the open. Don’t be the one to blow your trumpet at the expense of your husband, let God blow that trumpet for you. That way it's louder and more announcing. Communication in marriage requires wisdom and so as a wife you need to keep praying for wisdom to succeed in marriage. There is a place for emotions, but wisdom far exceeds emotions in making a marriage successful. I will share a few Bible scriptures with you that will let you know the place of wisdom in communication as you relate with your husband. A fool’s talk brings a rod to his back, but the lips of the wise protect them. Till I come your way again, remain blessed. Hello people. First, I want to wish us all a very blessed 2019. May this year be a very prosperous one for us all in Jesus Name. May the Lord visit each one of us and meet us at the point of our needs in Jesus name. Before I continue to write, I want to explain that doing the audio version of the blog has been time-consuming for me and explains why the spacing of the blogs have been far apart. So maybe I will have to suspend the audio blog for now and then we continue with the written blog until I can perfect the inclusion of the audio blog. So this blog will be the last blog to have an audio version of it till further notice. And so in today’s blog, I want us to take a look at one of the big issues affecting marriages in our today’s world. That issue is finance. It’s a fast-growing phenomenon that wives are having to add the breadwinner role to the list of responsibilities that they have to carry in their homes and marriages. Now, I don’t mean any harm to the men folks and I pray that heavens will open to all husbands in this year 2019 in Jesus name. But I have had to encourage quite a handful of wives who say they are totally fed up with being the sole provider of their homes while their husbands contribute little or nothing for the upkeep of the family. First, I agree and hold firmly to the fact that wives are created by God for the purpose of being a helpmeet (suitable helper) to their husbands. Going by what we find in Genesis 2:18 God made a wife as a helper to her husband, in that passage we didn't read that God gave specific instructions on the area of the man's life where his wife is to come in and help. And so, we can conclude that in any area where a man needs help, God has provided his wife for him as a suitable helper. But in the case of the wife, helping your husband as God has ordained you to requires wisdom and divine wisdom at that. Proverb 24:2 says it is through wisdom that a house is built and then we read in Proverbs 14:1 that a wise woman builds her house, and so we know that building a house requires wisdom, but more so is it that building a marriage requires divine wisdom. Now, applying this understanding into the financial situation of those marriages with transferred responsibilities and roles, I will say that it is unwise for a wife to start to assume the breadwinner role simply because her husband is unable to pick the bill. I know you are the suitable helper to your husband but before you turn yourself into the principal financier of the family because of a temporary setback in your husband's finances, have you, first of all, prayed about it? Have you consulted with the God who knows the end from the beginning and has the solution to all problems? Before you begin to play God in the life of your husband in the name of helping him, have you prayed and God told you to start paying the bills? A lot of women are quick to swing into action and start to rescue financially without first of all praying (and believe me, I am also guilty). Now, this is the likely way it will play out. As soon as your husband sees that you have come to the rescue, he is relieved and grateful initially. Then he relaxes in his struggle because he realizes that his wife would always come to the rescue. And then, over time it stops being his responsibility and becomes that of the wife's. If care is not taken the wife will not just take care of the financial needs of the home, but also the personal financial needs of her husband and soon the burden becomes too heavy for her to carry. So you understand what I am trying to put across, let's take an example of a wife who has a help maid in the house, she will bother less about a handful of house chores in the home simply because she knows the maid will take care of it. As a matter of fact, they become her responsibility and not that of the wife who is the owner of the house. Even in some cases, the personal needs of the children move from being the responsibility of the wife/mother to the maid. In the same way, once your husband begins to perceive that his wife is capable of handling financial issues, he starts to withdraw and because we wives are more emotional than wise, we are quick to embrace the challenge as part of helpmeet duties till they become our primary duties. But note this, you are not helping your husband by carrying on his responsibilities as your own. Again, take for example you have a child who is not doing well in school. You sure won't go to school to write your child's exams for him/her simply because he/she is failing. The only logical thing to do is support the child to read well, write the exam him/herself and pass well. But you won't sit for the exam on his/her behalf. In the same light, it is not the best you start to pick the bills simply because your husband is having a setback. The ideal thing to do is to pray open heaven on your husband finances. Pray that God will breathe life into his work or business such that the income will be jaw breaking. Seek the face of God on his behalf and encourage him with words and continue to boost his self-confidence, till you are able to wake up the giant in him. If you can have faith and trust God to do the impossible in your life, then you should be able to trust God and have faith to do the impossible in the life of your husband. This approach may sound mean and unrealistic, but it is doable for those who know how to trust God deeply. I once found myself in this same situation in the first few months of my marriage. Because I was earning more than my husband we had this unspoken understanding that I would be the primary financier of the family. But to the glory of God, I lost my job just a year into our marriage. Two years after losing my job, I was still the one sweating with the financial burden of the family even though my husband was working. In desperation, I began to pray and seek the face of God. I began to tell God that He should bless my husband and enlarge his territory and make him a full husband capable of handling all husband responsibilities. I fasted for him, made seed offerings in our church to God on behalf of my husband and I just would not stop. My prayer then was that, if I can't meet up with the financial burdens of the family, then God should lift my husband up financially so our children don't suffer. If I am not working, then my husband who was working should be able to earn enough to meet the needs of the family. God faithfully heard me and my husband began to grow in his career. He saw a newspaper advert for a job and applied. He gave me the application letter to post for him, but before posting it, I knelt before God with the application letter held high and I prayed on it. To the glory of God alone my husband got the job. Ten years now on the job and he has grown to a very high position in the organization. And he is not just bearing the needs of the family but also meeting our wants. And sincerely, I am enjoying my life. I gave a talk in a church and admonished the wives that its time they begin to seek the face of God to bless their husband's finances such that what they, as wives earn, becomes peanuts and totally irrelevant compared to what their husbands are earning. In that way, your money big as it may seem to you, becomes too little to make any meaning to your husband. Consider this, what business will someone like Bill Gate have with his wife's income? As a wife, you are a helpmeet to your husband and not in competition with him. When you make efforts to pray the power and glory of God on your husband's finances, you are better off at the end of the day. The main focus of today's blog is that being a suitable helper to your husband does not mean you should take up his responsibilities and start to do them. That is not God's assignment to the wife. Your assignment is to do all that is within you to help your husband become the best that he can be. Taking up your husband's responsibility as yours will get him laid back and prevent him from personally challenging himself to be better than he is. If your husband requires your financial assistance and he asks you for same, please help him as his suitable helper but don't make it a habit of always jumping and doing what you should not be doing because you can't keep your emotions in check. When you do that, on days you don't have your husband will not believe you don't have and then he begins to pick up fights. Before you become the breadwinner, take a step back and pray. Don't start to play God in the life of your husband, rather pray to God on behalf of your husband that God will be God in his life and do for him and in him what only He (God) can do. When God is God in your life and every situation of your marriage you will not have any reason to grumble or regret.